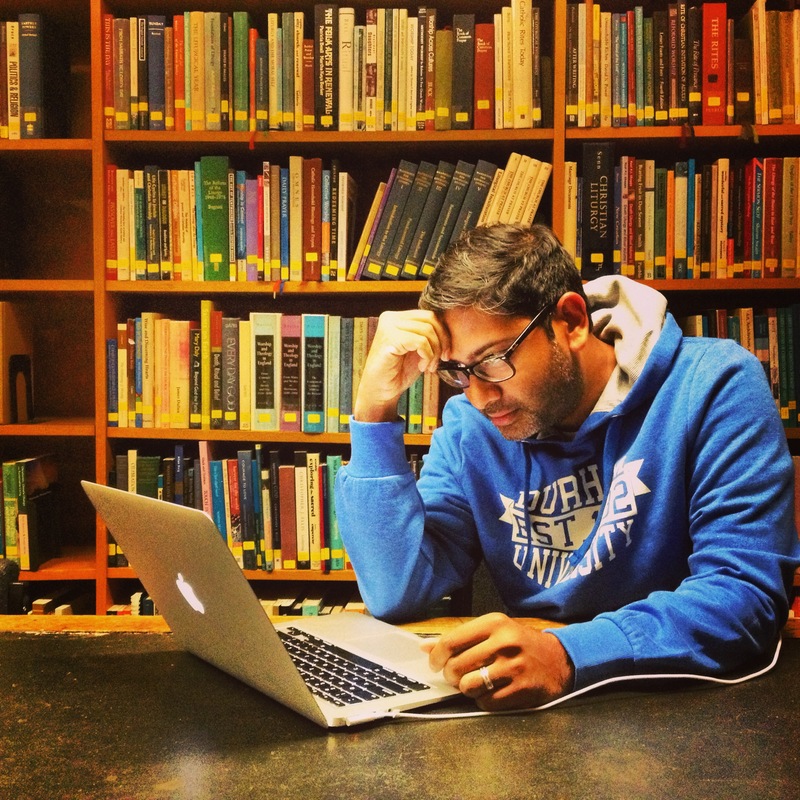 Why a Doctorate, Why Durham? In all seriousness, this won’t be of interest to everyone, but several of you have asked why I’m doing a doctorate and why I’ve chosen Durham University, England. I’ve answered these questions before, but I realize that my answers have been inadequate. For one, I am still learning to understand my own heart and motivattions. And, what’s more, I had some incorrect information about this particular program at Durham. To make the most of the gifts which have been entrusted to me for the glory of God and the good of the Church. This is not Christianese to me. When I was a little boy, my mum used to say to me, “Glenn, if you can achieve (x), then don’t settle for (y).” This wasn’t said in a performance-ish, pressured sort of way. This was said with utmost love. It came out of her deep belief in who God had made me to be. And it wasn’t unrealistic stuff. (She never said this about my dreams of being the next Michael Jordan, for example.) She– and my dad– saw things in my sister and me as they prayed over us and talked with us. And they wouldn’t let us stop short because of laziness or apathy. Christians should be eager to develop their gifts, widen their opportunities, extend their influence and be given promotion in their work — not now to boost their own ego or build their own empire, but rather through everything they do to bring glory to God. That is not to say that this sort of godly ambition should be pursued at the expense of the other greater gifts in my life: my wife and children. Holly and I made this decision together, and I talked with Pastor Brady, my parents, and others before proceding. Both Pastor Brady and Holly helped me eliminate other things during the heaviest travel part of the program (Year 1). All of us have been entrusted with gifts. As Christians, we don’t hone these gifts as ‘personal development’ or ‘enrichment’; it is stewardship. We multiply these gifts that God may be glorified and that the Church may be edified. To make sense of my own vocation to live between two worlds. I am beginning to understand that my life is about trying to hold two often disconnected things together in some small way. Worship and the Word, Spirit and Truth, charismatic power and liturgical shape, contextualized expressions and ancient practices, and so on. When I was young, I was very uneasy with having grown up in two worlds– Malaysia and America– and had some angst in my 20’s (who didn’t?) about where I truly belonged. But I have come to peace with my story. I am learning to embrace standing between two worlds. What could be more Christian than that? For too long, pastors have been suspicious of anyone in academic theology. I cringe everytime I hear a pastor say, “I only want to listen to practitioners!” And for too long, academics have been critical of pastors. It troubles me to hear the thin critiques and carricatures of ‘mega-churches’ or ‘Evangelicals’ or ‘modern worship’. Too many academics are too far removed from things to truly know what’s going on. And yet, it is this distance that allows academics to have a critical (I mean this now in the right and good sense of the word) perspective. Pastors cannot give the proper theological reflection to their work while they are immersed in it. Pastors and theologians need each other. Many, many theologians and pastors have bridged this gap. John Stott and Tim Keller come to mind from the pastoral side; NT Wright and Scot McKnight come to mind from the theologian side. Of course, there are more (Brueggemann, Hauerwas, Willmon, and on and on). It is in this rich tradition that I want to stand, by the grace of God. Not as a bridge in and of myself, but perhaps as a plank– or even a sliver in a plank!– in that bridge. “Aren’t there any schools in America, Glenn?” I hear that one a lot. 🙂 Believe me, I looked into programs from may places in the States. The travel would have been cheaper! In short, all the US doctoral programs I looked into were either PhD programs– which meant, research-driven, full-time, and had residency requirements– or, they were DMin programs– which meant that some had research components (depending on the school) and some did not. I don’t want to quit my job (I love being a pastor and I love New Life Church! ); I don’t want to move (I love Colorado Springs! ); and I do want to do research. BUT…I wanted to do research in something that had practical implications for ministry. I’m not the sort who fancies being buried reading footnotes of footnotes of footnotes. Four trips (each from 2-5 days) over a ten-month period during Year 1. This functions as a sort induction into the program, where you learn what practical theology is, how social scientific methods work, etc. Connect with your supervisor (determined in Year 2) via Skype, email, and additional trips over if you’d like. Postgraduates can check out library books for four months at a time, and can renew them online for much longer than that. No other program I explored– in the US or UK–was research-driven, dissertation-based, and could be done part-time and long-distance. Not to mention, Durham’s Department of Theology and Religion was ranked #1 in a recent study of research quality in all UK universities. (Take that, Oxford and Cambridge. I kid, I kid.) And there is this: my older sister– my only sibling–Tracy Packiam Alloway, was lecturer in cognitive psychology at Durham about 10 years ago. 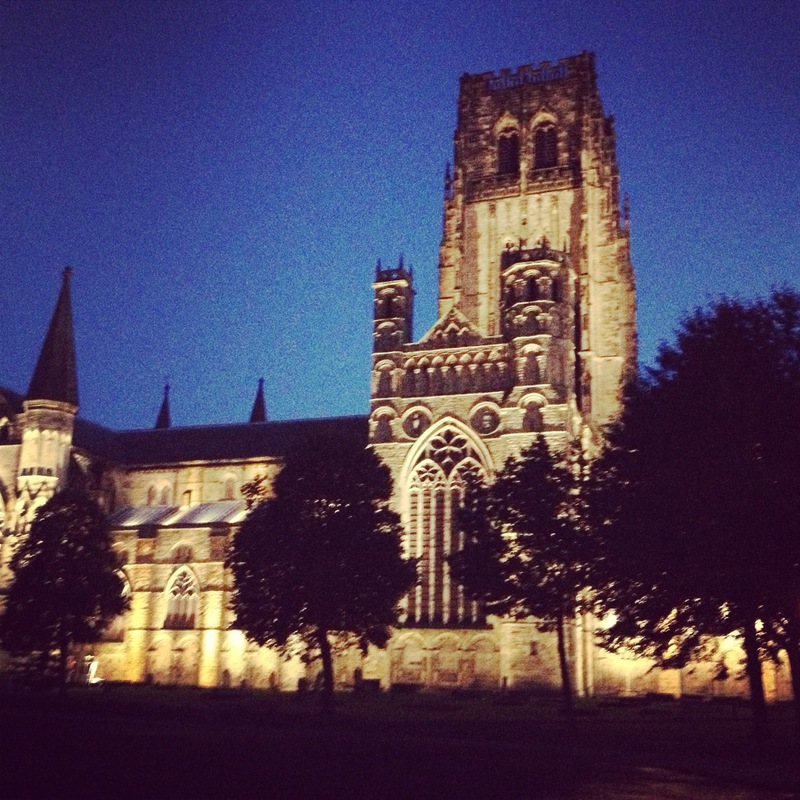 Finally, did you see the picture of Durham Cathedral, built in the 11th century? Thanks for this insight, Glen! After finishing my MDiv I’ve been struggling with where to go next in my academic aspirations. Your journey has been of great interest to me both from the educational and pastoral aspects. I looked into this program and immediately had a heart attack when I saw how much the program costs. I’ll probably be looking into more affordable options, while vicariously living through your time at Durham. Keep the nerdy posts coming! Go forth and learn and grow and bring all that wonderful knowledge back to your church community which will be all the richer for your new understanding! So excited for you! Just starting my first year at Cranmer Hall Glenn, hope to bump into you over a coffee. Thanks for the post! I’m finishing up the majority of my graduate program over the next year (after that, I have 1.5 hours that have to be taken over the next year…fairly frustrating). Like you said, you can’t do it at the expense of greater gifts. So even waiting a few decades has its benefits, I think we’re wanting to go straight from one to the other while we’re already in the rhythm of late nights and early mornings for me. I’ll definitely look into Durham, but I don’t think I can swing the airfare. Either way, thanks for taking the time to process “out loud” your thought process behind it! After attending evangelical churches in the USA for 18 years, I am disillusioned and cynical. Pastor-directed church models encourage exploitation and spiritual abuse of the people (congregation) by leaders. Furthermore, they tend to lead to pastor-centered churches. It is true that even the best model can be corrupted due to man’s corrupt nature. Yet God wants us to pick a model that has the principles of the body of Christ. Here is described My Dream Church from my study of the Bible. 1. Structure: the structure of My Dream Church is based on the New Testament ‘Body Of Christ’ model and not on the Old Testament hierarchical model. – Head of the Church: Jesus Christ, not the senior pastor, is the head of the church. – The pastor-directed church model is an Old Testament model – is not for us. – Taking hold of the power of the Holy Spirit. Laying of hands and praying. 4. Finances: Giving not Tithing. Transparency in finances. I know this post was from a few years back, but I am very grateful to have found it. Two years later, how do you feel about the program?